We are based just outside the picturesque old market town of Olney, in Buckinghamshire. Our premises are equipped with the latest machinery and technology that allows us to turn anything from a delicate lace bobbin to a large column measuring 2.4m in length with a maximum diameter of 300mm. Our clients include furniture and joinery manufacturers, architects, building contractors, property developers, shop fitters, and interior designers with commissions from organisations like English Heritage and Warner Bros for the film industry, as well as from private customers. 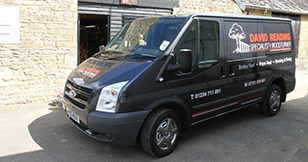 No matter how large or small your requirements, we pride ourselves on a professional, friendly and efficient service. 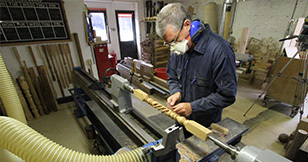 We believe the quality of our turning and the finishing is exceptional. We also offer a delivery service either by our own vehicles or via a courier service enabling us to supply anywhere in the mainland UK.